British Foreign Secretary Alistair Burt said on Sunday that Iraq must distance itself from economic dependence on Iran and boost its self-sufficiency in energy. Burt visited Iraq after diplomatic activity at a high level witnessed in Baghdad this month, following the sudden announcement by US President Donald Trump to withdraw his troops from Syria. US allies fear Iran will become more aggressive because of the pullout, even if its pace is slower than initially planned, as Tehran's influence in Iraq and Syria has grown in recent years. Washington hopes to counter Tehran's influence by re-imposing sanctions and is pressing Iraq to stop its imports of Iranian gas. "Expect that Iran has no influence in Iraq is a fantasy," Burt said in an interview with Reuters at the British embassy in Baghdad. "It is important that Iraq has the opportunity to determine its future in terms of foreign relations, and that its economy is strong and not dependent on Iran." Burt added that Iraq must develop its oil resources so as to enhance its self-sufficiency. "The sooner Iraq can benefit from all its oil wealth quickly, and use all the energy it does not use at times with maximum efficiency ... it was better." Iraq's export capacity of oil is around 5 million bpd, although it pumps less, in line with OPEC's agreement to cut production to stabilize prices. Washington hopes Iraq will be able to reduce the rate of gas burn to meet its domestic energy needs and reduce its reliance on electricity imports from Iran. There are ideas for more electricity projects in Iraq, Burt said without elaborating. "It is important for Iraq to have the opportunity to determine its future in terms of foreign relations and to have a strong economy that does not depend on Iran," he said in a newspaper interview. He added that Iraq must develop its oil resources so as to enhance its self-sufficiency, stressing that "the sooner Iraq can benefit from all its oil wealth quickly, and use all the energy that is not used at times with maximum efficiency, it was better." Iraq's export capacity of oil is about 5 million barrels per day, although it pumps less in line with OPEC's agreement to cut output to stabilize prices. Washington hopes Iraq will be able to reduce the rate of gas burn to meet its domestic energy needs and reduce its reliance on electricity imports from Iran. 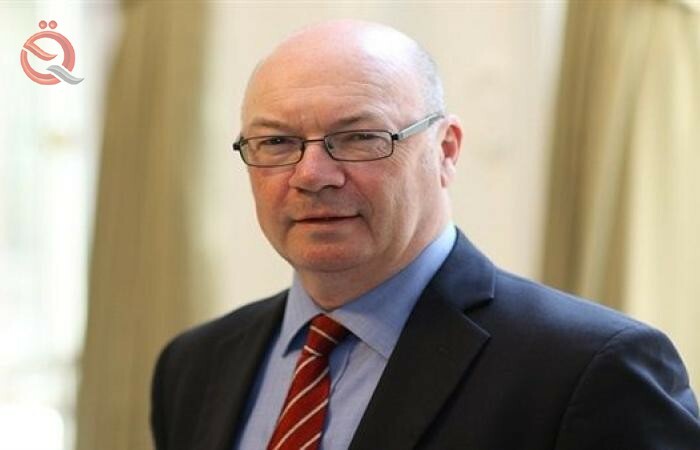 British Foreign Secretary Alistair Burt said on Monday that Iraq must distance itself from economic dependence on Iran and boost its self-sufficiency in energy. Burt visited Iraq after high-level diplomatic activity in Baghdad this month, following the sudden announcement by US President Donald Trump to withdraw his troops from Syria. US allies fear that Iran will become more emboldened by the pullout, even if its pace is slower than originally planned, after Tehran's growing influence in Iraq and Syria in recent years. "It is important for Iraq to have the opportunity to determine its future in terms of foreign relations and to have a strong economy that does not depend on Iran," Burt said in an interview with Reuters at the British embassy in Baghdad. "Iraq needs to develop its oil resources so it can enhance its self-sufficiency," Burt said. "The sooner Iraq can take advantage of all its oil wealth quickly, and use all the energy it does not use at times with maximum efficiency ... it was better." "There are ideas for more electricity projects in Iraq," Burt said without elaborating.